I have cobbled together a picture of a breakfast casserole that I served to company. My life has been rather cobbled together lately. From selling our Florida house, to pulling a u-haul back to North Carolina, to a major get together with friends, the one thing I did not need was to get sick. But sick I was. I developed a hacking cough, headache, fever and laryngitis. David dragged me to the Doctor last Wednesday. All I could croak out were the words “I can’t afford to be sick. I have 16 people coming tomorrow for 4 or 5 days.” I am so impressed with our Nurse Practitioner. She prescribed an antibiotic and words of wisdom. She said be sure your friends have clean sheets and towels, but forget about the rest of the house. No one will notice or care about a bit of dust or a less that neat house. So true. Everyone pitched in and we had a wonderful time. 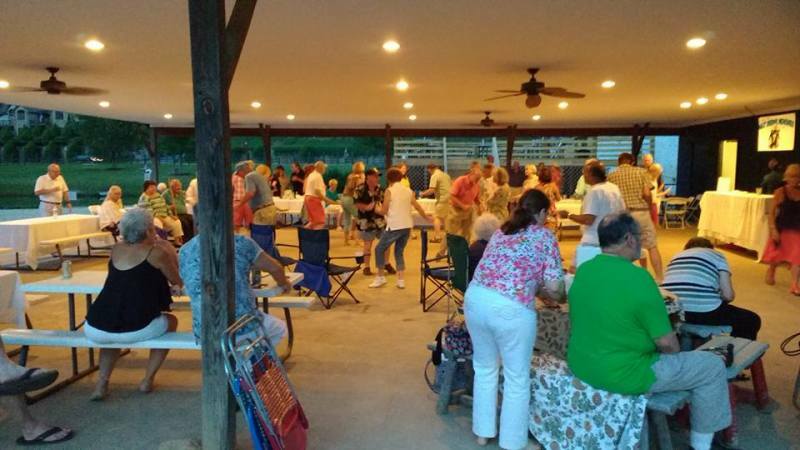 The occasion that brought us all together was the annual Lake Lure Lakefront Home Owners Association annual dinner and meeting. David and I were in charge of the entertainment. 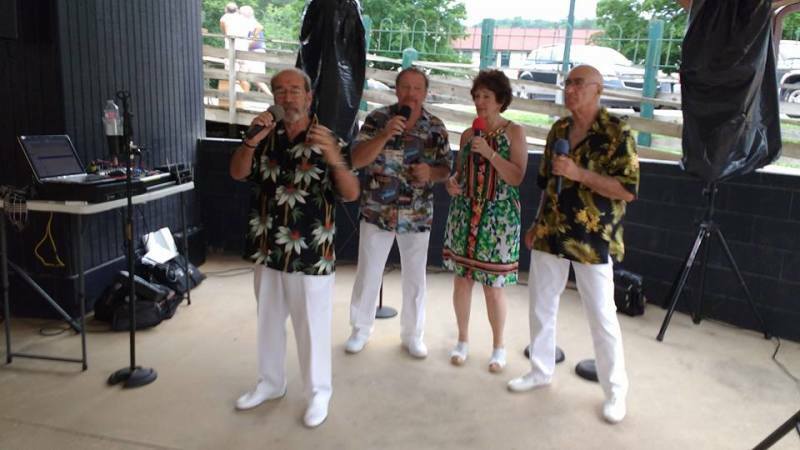 We booked our good friends from Florida who have a doo wop group called Malt Shoppe Memories. They perform all over Florida and are also known in our area from previous visits. The concert was held on the beach and a fun time was had by all. 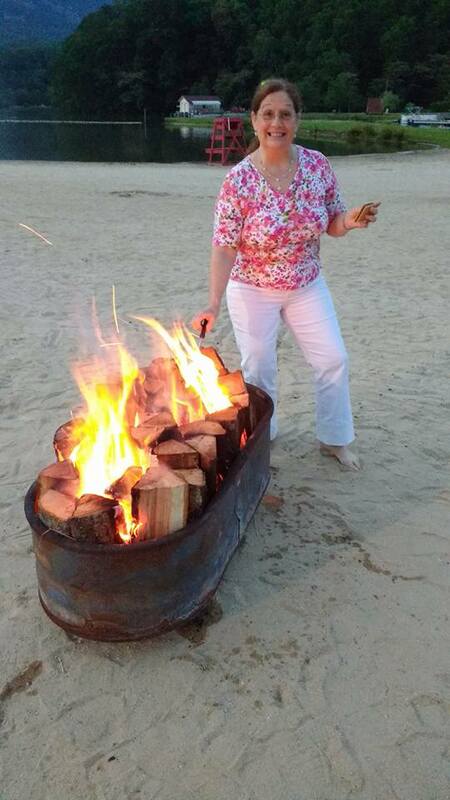 The hotel even arranged to serve S’mores on the beach. The party was held on Saturday night. 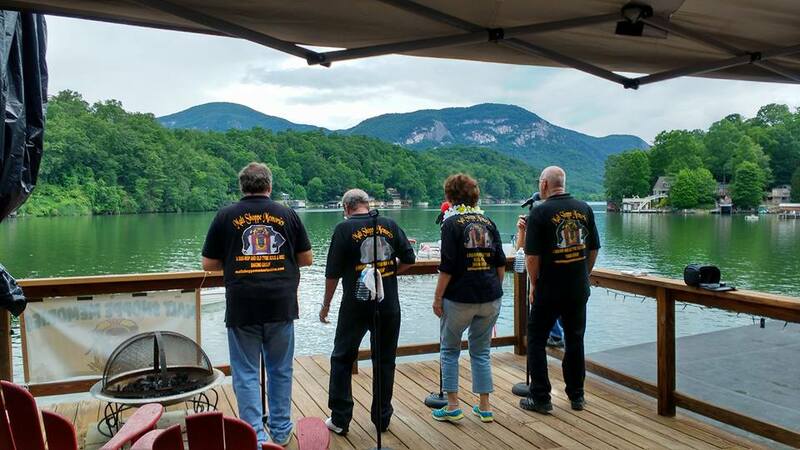 On Sunday evening the group performed on the top of our boathouse and people were encouraged to come by boat to sit back and enjoy the concert. The acoustics on the water and between the mountains are something special. 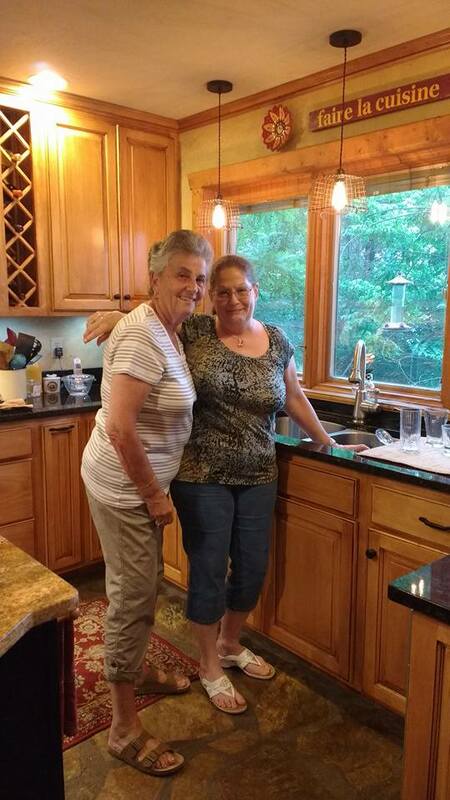 It was great to have so much help in the kitchen. We did a pot luck on Sunday and everyone contributed wonderful dishes. I made this casserole on Saturday afternoon when I was feeling better. I tucked it into the refrigerator and baked it on Sunday morning. It couldn’t be easier. What you see here are the leftovers. 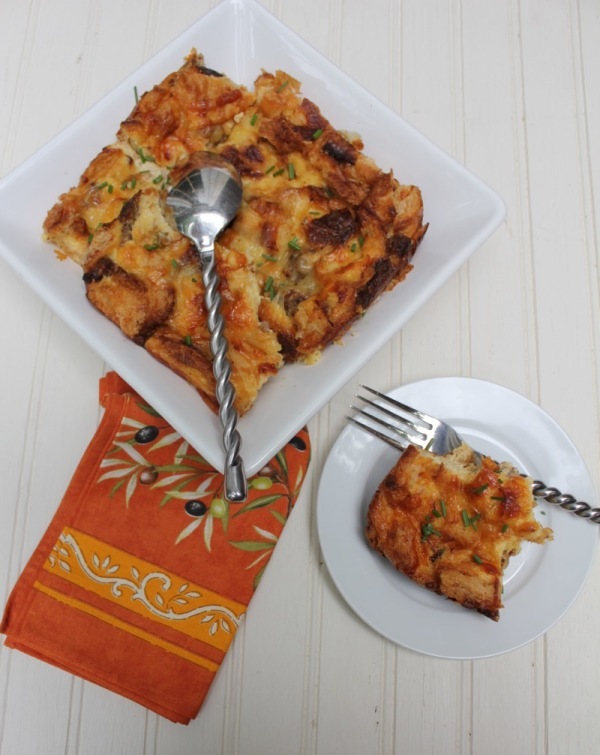 It is a special breakfast casserole because it uses croissants instead of bread (thus the buttery description) and because it comes from The New York Times. All of their recipes are first rate. I will be adding this to my permanent recipe file. The sausage, Gruyere cheese, sage and green onions just add to the goodness. In a medium skillet over medium-high heat, warm the olive oil. Add sliced scallions and sausage meat; cook, breaking up meat with a fork, until mixture is well browned, about 5 minutes. Stir in sage, and remove from heat. In a large bowl, toss together croissants and sausage mixture. In a separate bowl, whisk together eggs, milk, cream, 1 1/2 cups cheese, salt and pepper. I am so sorry to hear you were sick!! Hope you are feeling all better now. This casserole sounds great Penny! I am better. David has it now. But we had a wonderful 4 day weekend in spite of everything! What a great group. Buttery, breakfast, and casserole all in the dish title has got to be good. It was very good Larry. Easy too. This is going into my Christmas file for our breakfast buffet this year. Sounds great and I always love a “do ahead” dish. You will love it TAC. I always make a Christmas breakfast casserole. This will be perfect. So sorry to hear that you and David have been sick. We have seen a great deal of coughs and colds in our clinic, which is unusual for this time of year. Your breakfast casserole looks delicious. We missed you at Rachel’s BD. I know you both must be looking forward to the MI trip and your anniversary celebration! We are looking forward to it Darla. This summer is flying by. It will be Labor Day before we know it. Hope the two of you are feeling better. I’m sure everyone enjoyed themselves and loved your breakfast casserole. Thank you Karen. I am much better. We are having a quiet weekend. Why is it something always happens when we’re trying to get ready for a big event??! So glad you’re feeling better and that everything came off without a hitch, Looks like fun! 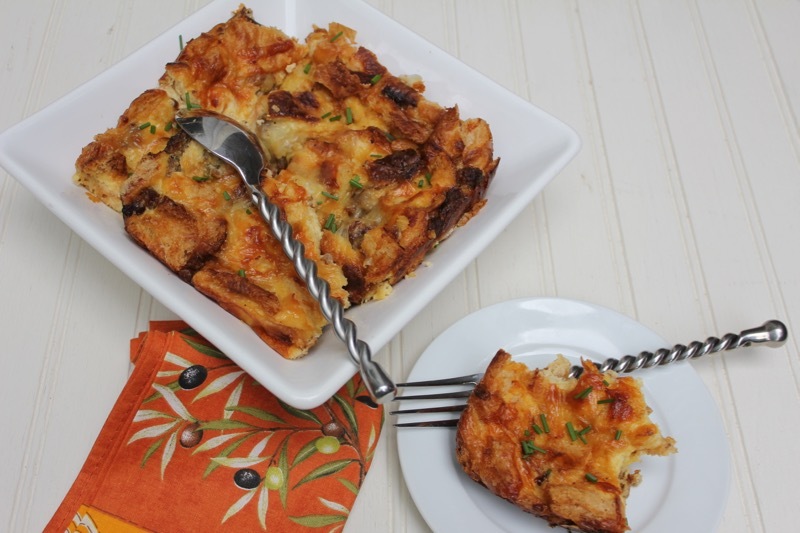 Love breakfast casseroles….especially the ones you make the night before and only have to toss them in the oven in the morning. I am lucky to have understanding friends Barbara. Will make this casserole again. I am always looking for a new breakfast casserole and this one sounds wonderful! Love that it is not sugary. Thanks for sharing and hope that you are feeling much better. I just kicked a bug, too…the cough seemed to hang around forever!! Everyone seemed to love this casserole and were amazed to find it on the table after a late night of partying. Assembling ahead the day before was a life saver. Thanks Kathy. Glad I came backward I found this one Penny – do you think I could rustle it up without the sausage and it would still be tasty? How many people does it serve? Thank you! This post was published by Penny on June 7, 2016.